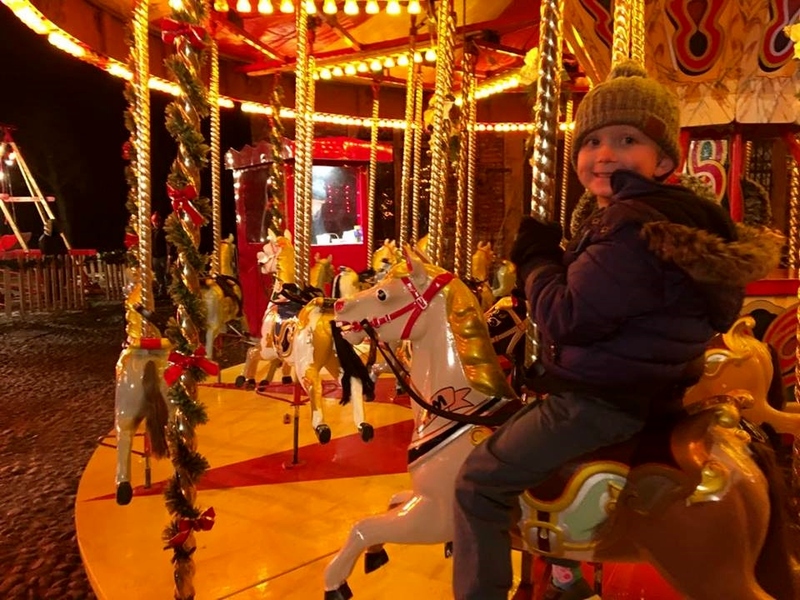 One of our most favourite events last Christmas was the magical, after-dark, illuminated trail at Dunham Massey in Cheshire. Our review also proved to be extremely popular with our readers and was one of our most popular festive blog posts. We were therefore delighted to hear that it would be returning to the historic National Trust property for a second year, on selected dates from the 30th November to the 30th December 2018. 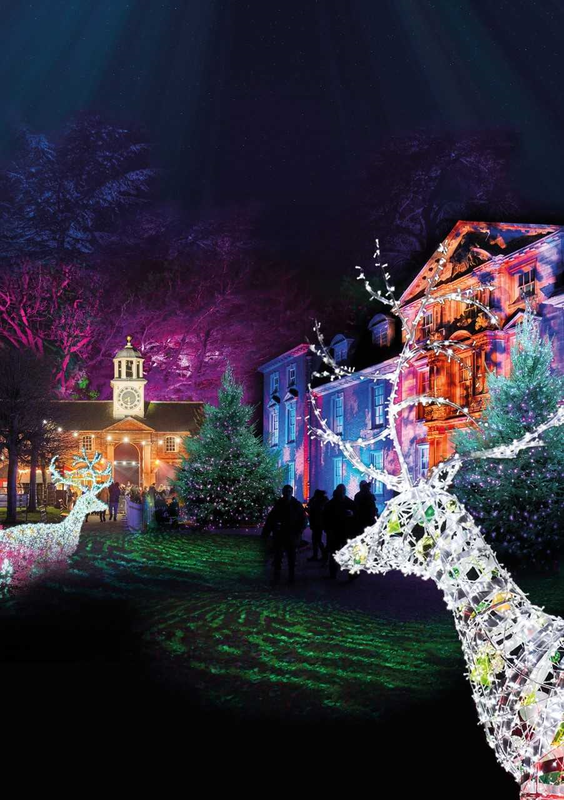 Christmas at Dunham Massey is brought to you by leading events producers Raymond Gubbay Ltd, in partnership with the National Trust. We thought that last years event was absolutely incredible, but this year the magical winter trail is set to be even bigger and better than before. A larger-than-life glittering deer will greet customers, along with the sights and sounds of Christmas. Features will include a stunning Tunnel of Light adorned with over 100,000 pea-lights, an incredible scented fire garden, Bubbles on the Bridge, playful ribbons of colour-changing lights and the mesmerising voices of the Singing Trees. Last year, we were treated to an incredible Water Fountain Finale and this year will be no exception. Guests will be able to enjoy this showcase spectacular of water jets and beams of light, which dance in time to much-loved Christmas classics. The trail is specially designed to appeal to visitors of all ages. My husband and I attended the event last year, with our children aged 4, 9 & 11 at the time and it is safe to say that we all shared the same opinion - It was wonderful! The historic courtyard will play host to some fantastic festive food outlets*, with the Manchester Food & Drink Festival providing the stalls. There will also be a vintage carousel ride for younger guests to enjoy*. Fire pits will also be placed along the trail where you can gather to toast your own marshmallows. This was one of the highlights for my children last year and they loved picking their flavours and toasting them over the fire. This year, The Stables Restaurant at Dunham Massey will be serving a two-course traditional Christmas Dinner*. There will be a choice of two sittings, so visitors can dine before or after they visit the trail. Items marked with * will incur an additional charge. Disclaimer: Details provided are believed to be correct at time of writing, however are subject to change. I would therefore always recommend visiting the events own website, in order to obtain the most up to date information.